Hello my lovelies! Can't believe it's Thursday evening already! This week has gone by so fast and I have less than 6 days until vacation. Can't wait! I was looking at my history today and I realized I've only posted 10 times this month. Shame on me! I'm sorry but I promise to make it up to you in the month of July. Here's me trying to squeeze in another post. No nail art this time just a beautiful polish. 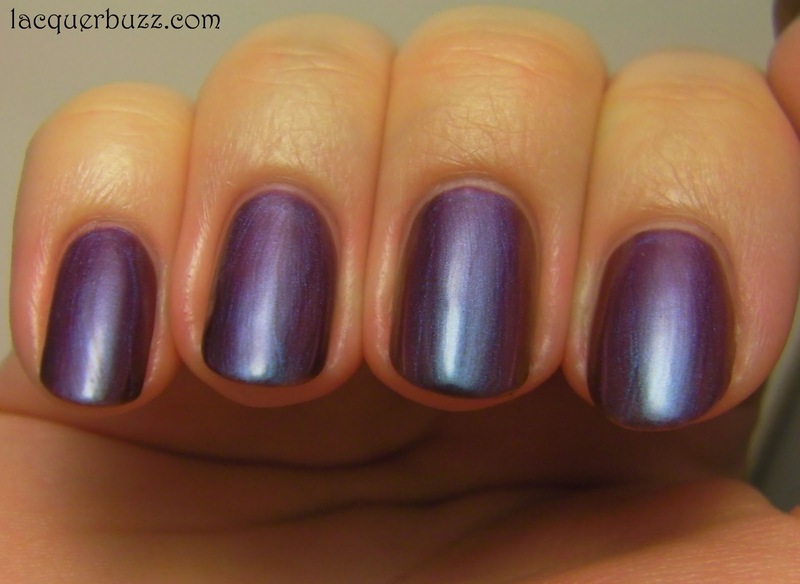 This amazing lilac pastel comes from the Up & Away collection from 2010. I just can't get enough of these! This is more of a cool toned lilac but it photographed more pink in the light box pictures. The sun pictures below show the color more accurately. I don't know what it is about these types of colors. I find them so elegant and classy. The formula is really great and it's opaque in two coats. None of the chalkiness of pastels is present here. It was a little streaky though and a 3rd coat could have solved that. It dries to a shiny finish but I did put some top coat over it to even it out a bit. I find this polish great for any season. You might think that it's a spring pastel but honestly, I would wear it all year round. I've been wearing a lot of muted colors lately so I can't wait for next week because my Summer Neons will be here! Did you get any of those? Which color should I wear first? Hello loves! It's Monday again and that can only mean blue! I'm gonna keep it as short as possible today because I have to get back to studying. 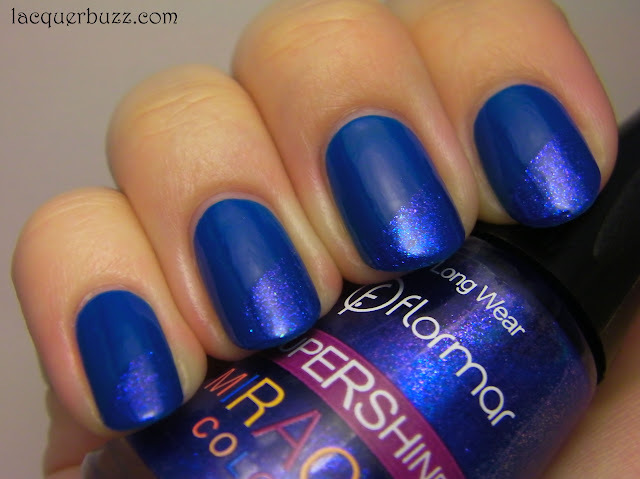 So today's post is about 2 Flormar blues. Let's take a look! 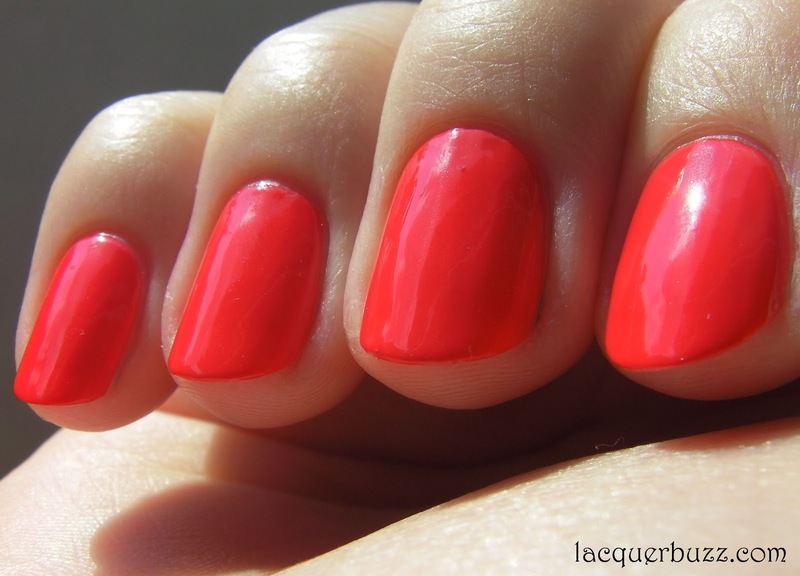 The base color is Flormar 438, one of the new polishes for Spring and Summer 2012. You can tell these apart by their caps. The caps are the same color as the polish while the rest of the Flormar polishes have white or black caps. The new collection is great and it has a lot of fun colors. I really like them because they are pretty unusual and there are a lot of shimmers as well as cremes. The only thing I don't like about these is that they are impossible to photograph. There must be some kind of ingredient that makes them look different in photos. This one for example is kind of a dusty medium blue. It came out cobalt in the artificial light photos but I assure you that it's more muted in reality and has a certain elegant feel that reminds me of Essie polishes. The sun picture shows the color a little better. The formula is great on these. Two effortless coats and it dries to a glossy finish. I would say it's more of a crelly (a squishy texture with the opacity of a creme). After wearing it for 2 days I added a funky french using another Flormar blue, namely U25. This one is a layering polish from the Miracle Colors line. It has a subtle purple duochrome but it didn't want to come out in any of my pictures. It's more evident in the bottle than on the nail. This is one coat of it applied after I taped my nails diagonally. And please let us know if you want to join us so we can add you to the list! Hello gorgeous readers! First I'd like to apologize (again) for not posting much. This will be a hard week and a half for me as I have two hard exams in very little time. I will do my normal Monday Blues post and maybe squeeze in one more post next week if I can. Good news is that in less than two weeks I'll be on vacation and blog activity will be back to normal. Today's post is about a little adventure. So last week I wanted to do some more elaborate nail art because I had a free afternoon. I decided to finally try the splatter technique. 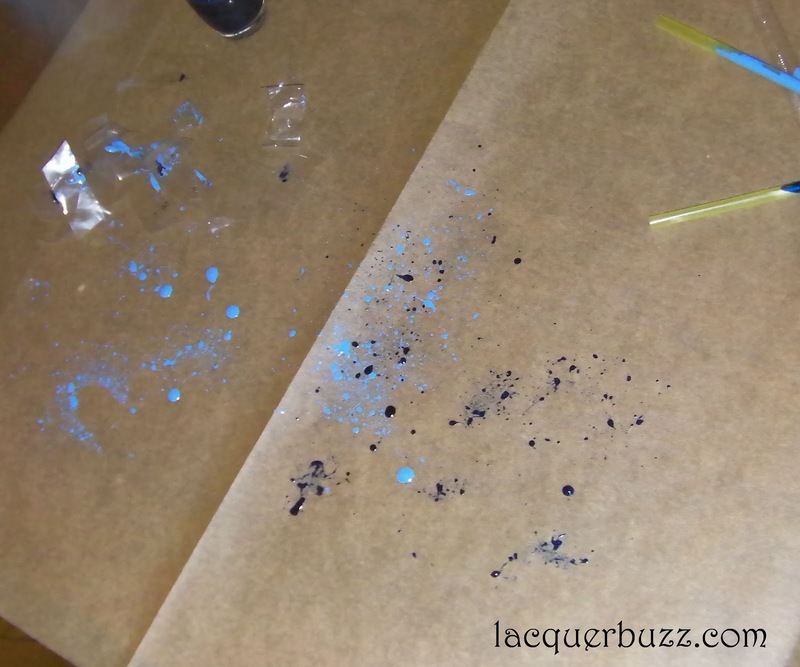 I had a straw and decided to use that and cut it in half so I could splatter two different colors. The experience was not that pleasant and the result...well, you should see for yourself. I started with a base of Rapsodi 340 and decided to do an all blue splatter. The colors I chose for the splatter were Orly Snowcone and OPI Yoga-ta Get This Blue. I covered my table with wax paper and taped around my nails with scotch tape because it's a very messy technique and the polish goes everywhere. Here's how my table looked after the splattering. My main complaint about this technique is the fact that you have to blow the polish through the straw. It was totally unpleasant since I could feel the polish taste in my mouth because of the fumes that came through the straw. That's why I wouldn't do this again. The other problem I had was with the polish dripping off my straw onto my nails. Every nail has blobs on it because of that. I think I could have avoided that by putting some polish down on the wax paper and then dipping the straw in there instead of dipping it in the whole bottle and having huge amounts of polish on it. Cleanup was also not nice. The scotch tape lifted off in some places and allowed the polish to flow underneath. Plus there was still a gap between the nails and the scotch tape. Here's a shot of my splattered nails pre-cleanup. Look at that ring finger there! I spent an endless time cleaning this mess up. And in the end I was still left with blobs of polish on each nail. Top coat couldn't level them up because they were too huge. Here's a sun picture of the final result with top coat on. I really like how the shimmer in Yoga-ta Get This Blue comes out to play in the sun. After this debacle I wasn't ready to repeat the process on my other hand. So I decided to do a little stamped splatter instead. 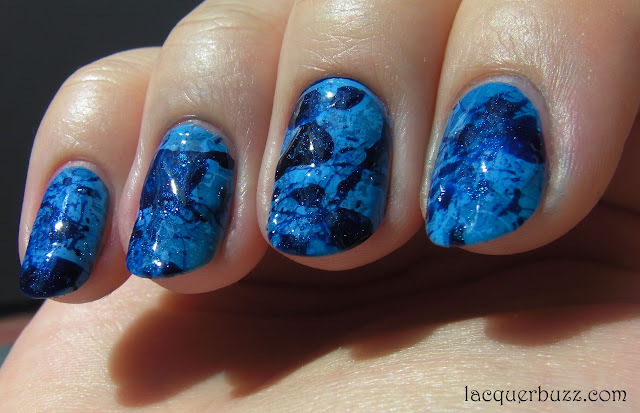 I used the same polishes and the splatter image from plate FUN 2 to randomly stamp on my left hand. 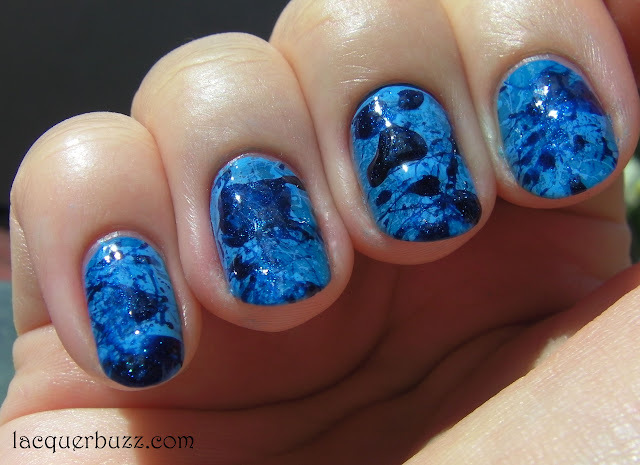 In the end I really liked how the splatter looked and enjoyed wearing the mani. If only there was a method to avoid having the polish fumes in my mouth while blowing in the straw, I would definitely try this again and learn from my mistakes. The stamped alternative is also cute and so much easier to do. 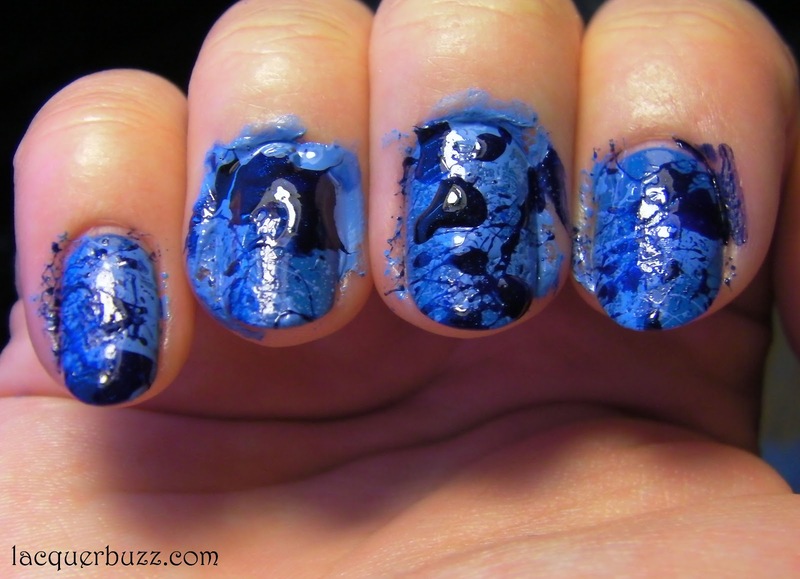 Have you tried the splatter mani? What method did you use? Hello loves! It's Monday again! Where did the weekend go? But Monday means blue and I'm certainly not sorry about that. I'm very glad to show you one of my bargain finds. 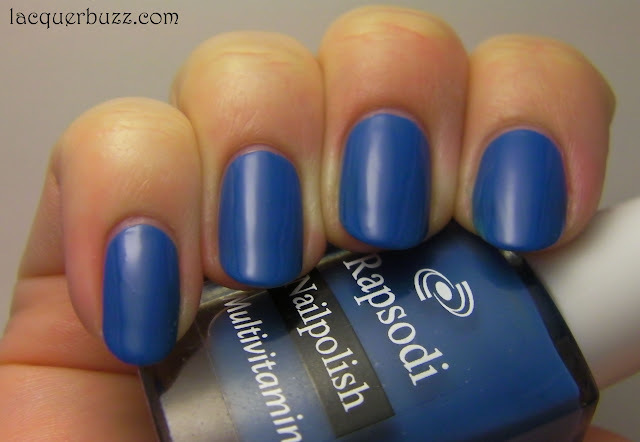 It's another polish from the brand Rapsodi and it was less than 1$. 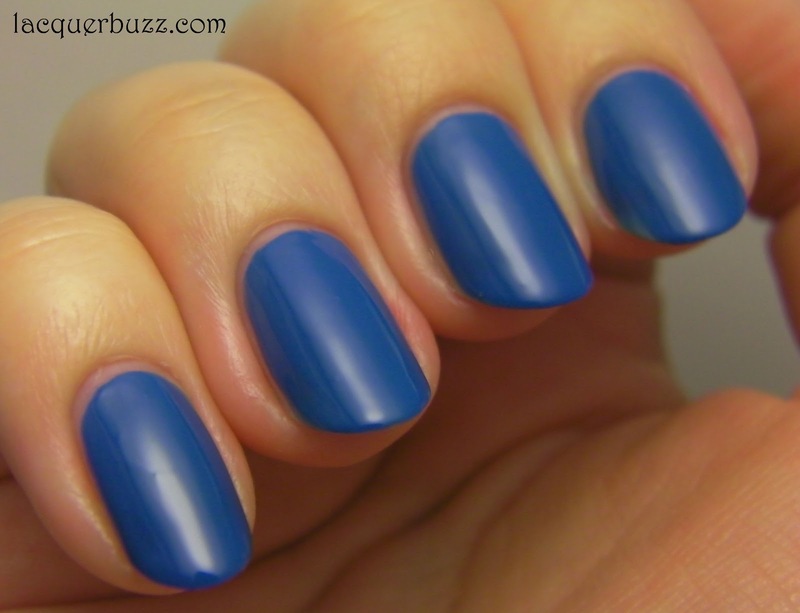 This is a great medium blue creme. It's a little more muted in reality but for some reason it came out really vibrant and darker in the pictures. 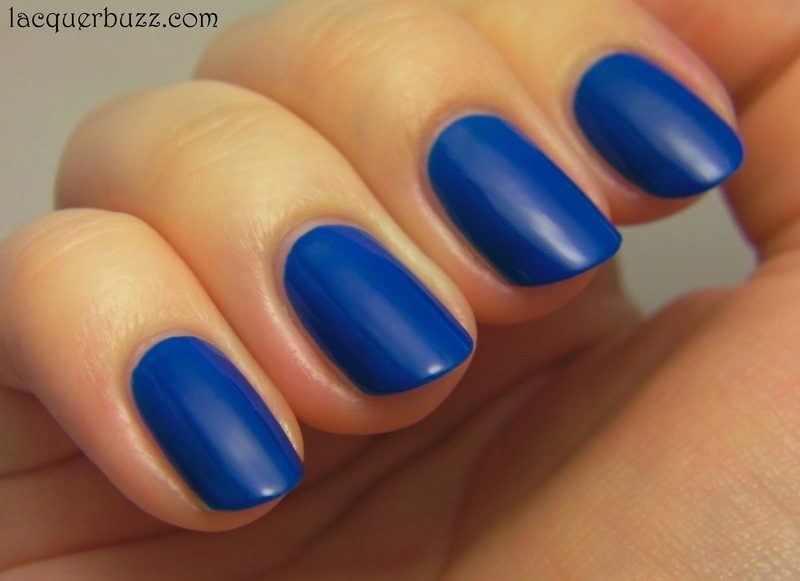 I'd say this is the perfect shade of blue I was looking for to complete my blue ombre. It's lighter than cobalt and darker than sky blue. Just perfect! It was just starting to rain when I put this on so I made a bunch of shade (or rain) pictures. They show the true color better than the light box pictures. You can even see the first drops of rain in the next photo. It dried to a glossy finish so no top coat was added. Application is ok with this one. It contains toluene so it does smell quite a bit. I did two thin coats and there was a little VNL but it wasn't that obvious. I knew I was going to cover it so I didn't mind too much. I will show you in the next post what I did over it so stay tuned. Hello my lovelies! What have you been up to these days? I'm done with school for this week and can't wait to relax a bit before I have to start studying for my exams. Good news is that in less than 3 weeks I'll be on holiday. Can't wait for real summer to start (it's raining again as I'm writing this). 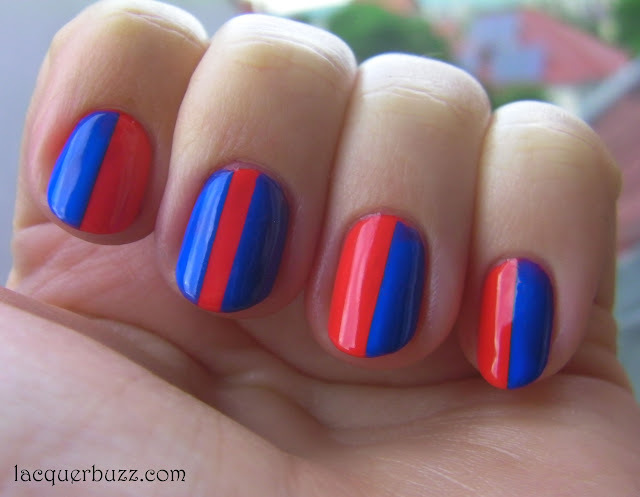 Today's post is about a Rimmel polish and a tiny bit of nail art. Sky High comes from the 60 Seconds line from Rimmel. Until a week ago we didn't have these over here. We had the Lycra Pro line (which from my experience has terrible lasting power) and the I Love Lasting Finish line (which is kind of a hit or miss). But what I really wanted were the beautiful colors from this line. Luckily, they finally arrived. I immediately purchased Sky High and Grey Matter, two lemmings of mine. Sky High is a turquoise creme that leans a little more green than blue. It was very hard to capture accurately. The sun pictures are more true to color, but the polish is still a little more green in reality. 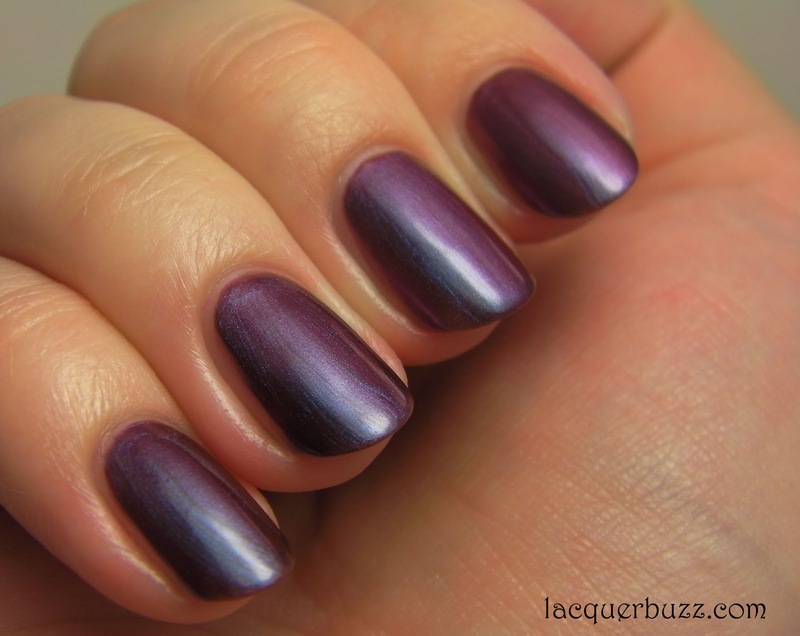 Now, I do find this a very nice polish. What bothers me is that companies make certain claims about their products and reality is a lot different. For instance, the bottle of this claims it's a one coater formula. That is not true at all. My pictures show 2 coats and in some lights you can still see a bit of nail line. Then they claim it dries in 60 seconds. Again, this does dry fast to the touch (and to a shiny finish), but it doesn't dry deeply and remains prone to denting for a long time. I almost messed it up an hour later when I added the tape. So please Rimmel, stop making promises you can't keep! 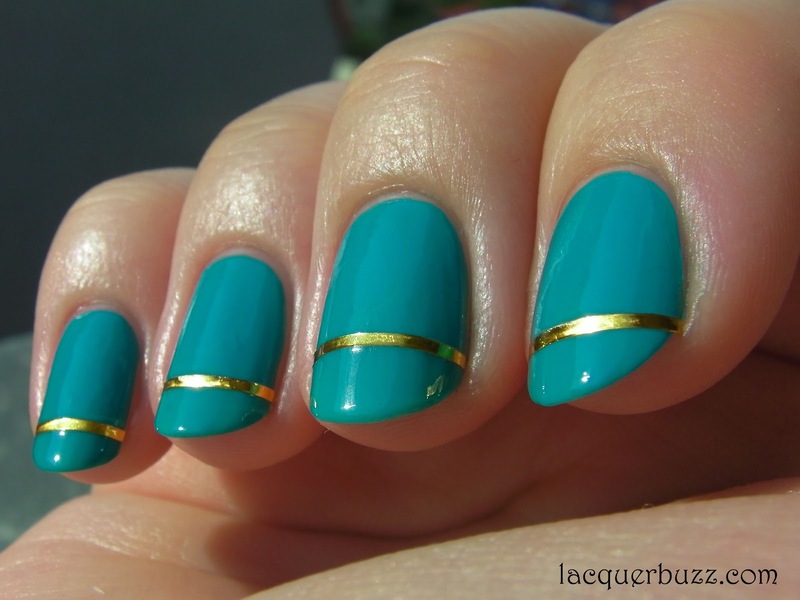 I added the gold striping tape because I like the combo of gold and turquoise. In the end I think it came out ok. I only wore this for a day however because the tape started to lift off at the edges the next day. I probably should have used a thicker top coat to make it last longer. I still enjoyed this manicure a lot. What do you think? Hello my lovelies! 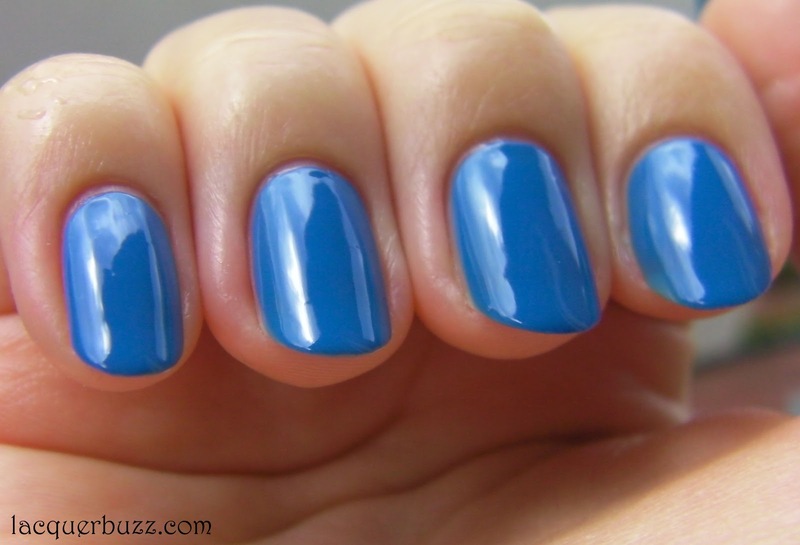 Today's post is about a beautiful blue polish that is meant to make you feel better on this gloomy Monday. After yesterday's heat came the storms and it's raining outside as we speak. Nothing like a nice pastel blue to cheer us up! Kinetic Candy is one of the Spring 2012 pastels from the Electropop collection. It's a beautiful shade of light blue, that leans slightly turquoise. It's definitely the lightest blue I have in my collection and it's such a delicate color. You could almost say it's office friendly. Application is a little tricky with this one. It's pigmented enough to be opaque in just two coats, but the consistency is on the thicker side so I had some streaks left after application. It dries shiny but I had to use top coat to level it out. I also wanted to stamp something over it so I chose a 60's theme with the combo of blue and brown. I stamped using Ch14 and S-he Stylezone 500. The taupe color didn't stamp very well so the flowers came out a little splotchy. I would love to find a brown polish that stamps well. I like the combo of blue and brown a lot. Hello loves and happy Sunday! I don't know how it is where you live, but summer is in full swing here. It's so hot right now that you really can't get out of the house. Between that and the crazy storms, this has not been a very friendly month of June. Today's post is about a real gem. I have been doing a lot of nail art posts lately but I do think that this one deserves a post of its own. I got this a while ago in a sale but kept putting off wearing it because it's a holo and holos need sun to function. 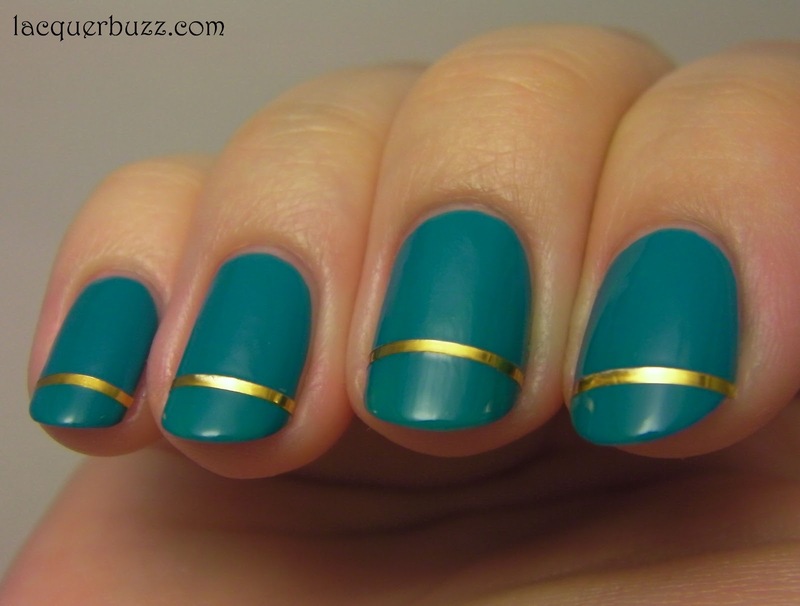 I then used it in this tape manicure and it was so beautiful that I just had to do a full mani with it. It's also hard because there is so much going on with this polish that I don't know where to start. So basically what we have here is a duochrome holo. The base color is a dark silver one but it shifts to purple depending on the light. There is also a dark green hint in some angles. And on top of that, there's the subtle scattered holo. Of course the holo was very intense under my bathroom light and didn't come out as good in the pictures but you get the idea. You can see the green hint in the above picture. 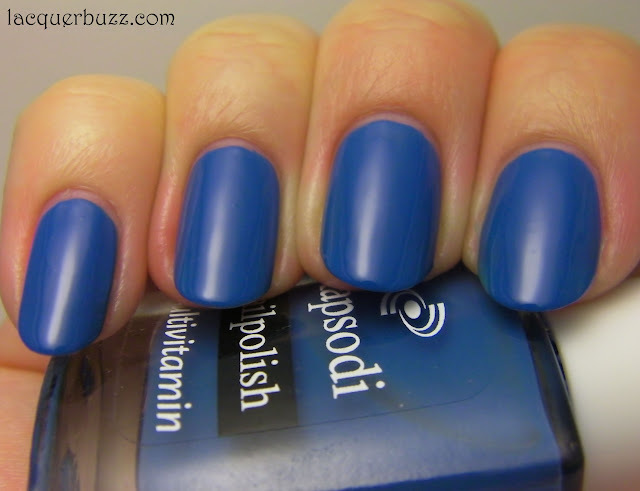 The application is great as always with aengland polishes and you will need two coats to get it perfectly opaque. It does dry very fast and to a shiny finish. I think some of my pictures have top coat and others don't, but I really can't tell the difference. I think this polish doesn't get enough love. Sure there are some other beautiful ones in The Legend collection, but this is such a unique combo of finishes and also a very elegant shade. I would have purchased Saint George or Dragon instead of Ascalon if they weren't sold out. But in the end, I'm so glad I chose this one! P.S. : There's a promotion currently going on on the a-england site and today is the last day. Hurry and check it out and don't forget that international shipping is free! Hello loves! I've been slacking again from my blogging duties but it has been a busy and stressful week for me so I apologize. I guess posting during the week is not really my thing, but I will do it more on weekends. 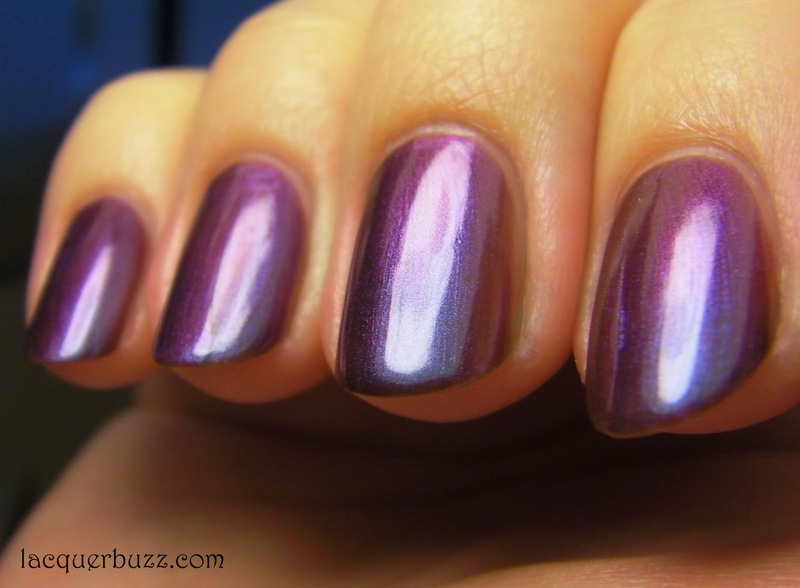 Today's post is about a hot polish. The name they chose is perfect for this one because it's like fire on your nails. 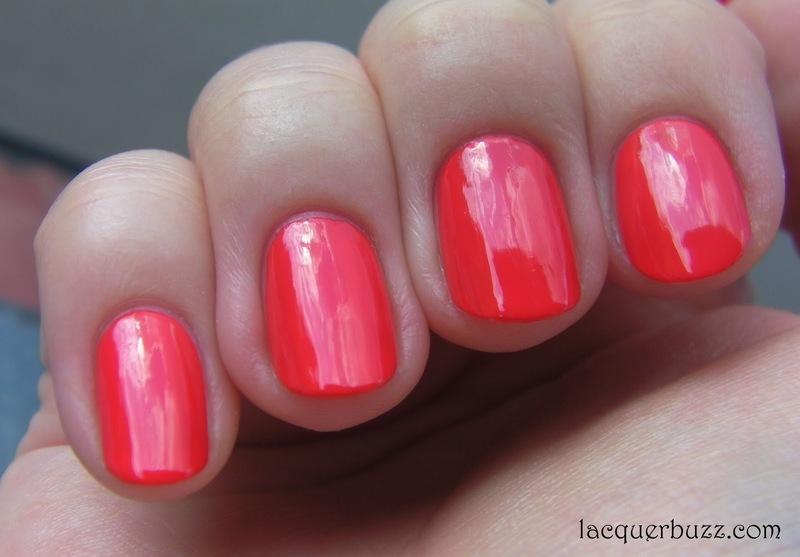 Enter Essie Ole Caliente! Where do I even start? 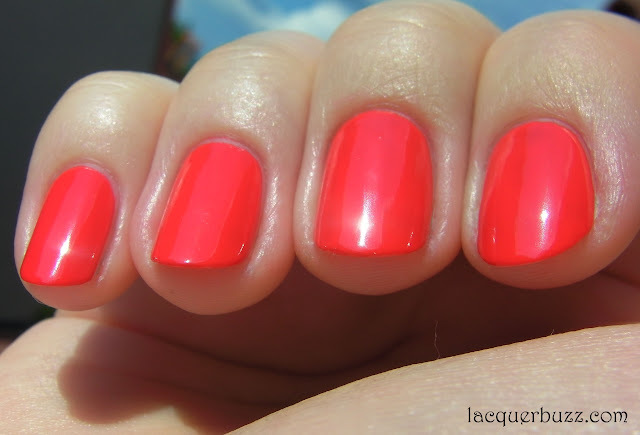 This is from the Spring 2012 collection by Essie but it's not a spring color at all. It screams summer to me. It is so bright and vivid that my pictures don't do it justice. You will not be seeing any light box pictures of this one because they didn't come out true to color. The natural light ones are pretty accurate I would say. 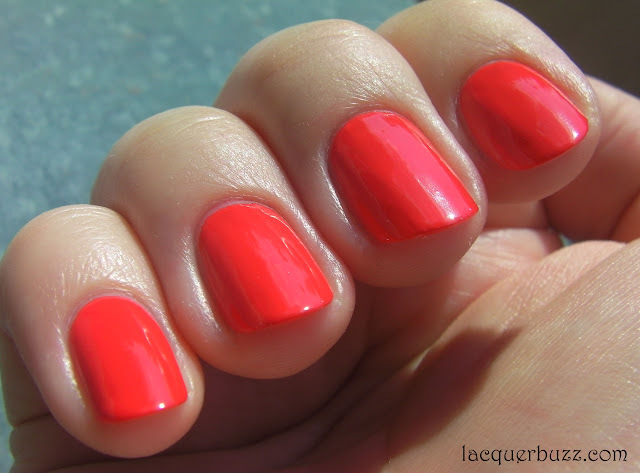 Ole Caliente is a hot coral creme. It's more of an orengey coral and on me it looks totally orange. I really like this polish but unfortunately I hate how it looks on my skin tone. I'm sure I'm gonna love it on the toes though. Application is ok and I used 2 coats to get it opaque. It dries really fast and to a glossy finish, so my pictures show it without any top coat. As I said, I didn't like how my hands looked with just this on so I wanted to do some nail art to make it work. Since it is such a bright color I immediately thought of color blocking. I used some striping tape I got off ebay as guides and painted with Astor Fashion Studio 070. It was my first time using striping tape and I needed a bit of practice. My right hand didn't turn out so great so I'm showing you my left hand. I would have liked for the blue polish to be a little more opaque because the coral was showing trough it in some places. I really liked this color combo but I think this manicure looked a lot better in my head than in reality. All in all, I have mixed feelings about this manicure. I do love this polish and I think I'm gonna wear it a lot on my toes this summer. I hope that getting a bit tanned will make it look better on my fingers too. Hello my lovelies! I bet you are not very thrilled that it's Monday. So here I come to save the day with some amazing blue nails. 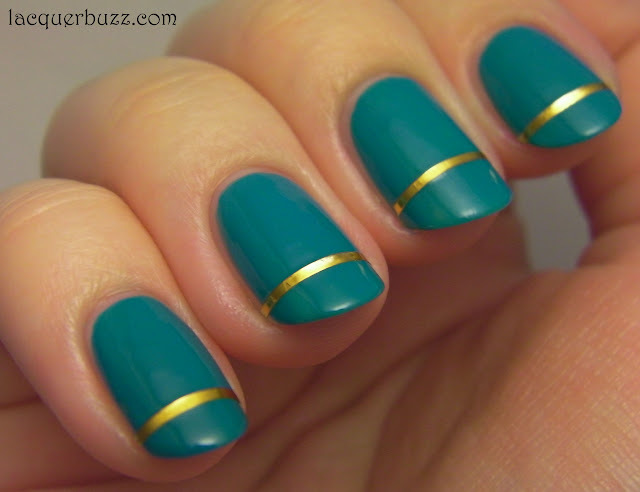 It's a simple mani but I like it a lot and I hope you will too! 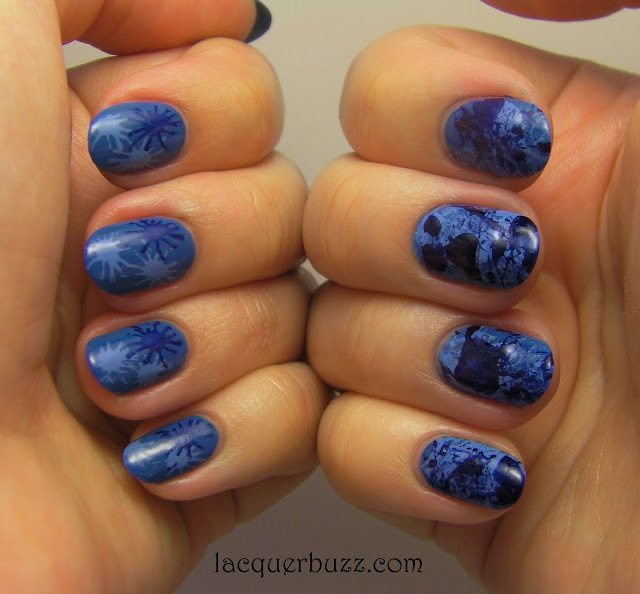 I wanted to use this pattern on my nails for ages and what better base than a gorgeous cornflower blue! 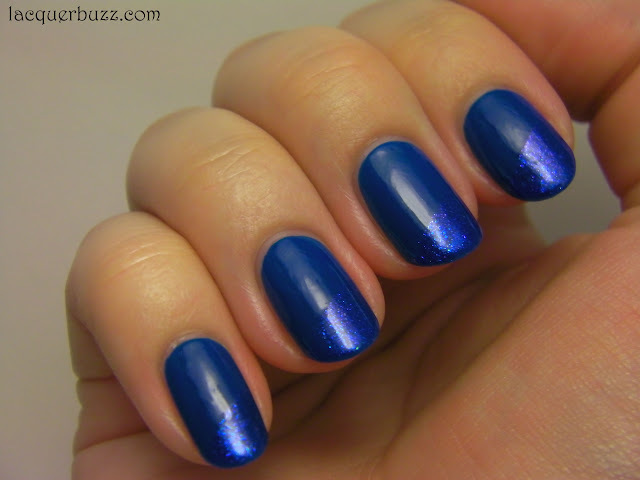 This is Orly Snowcone (previously reviewed here), one of my favorite blues. 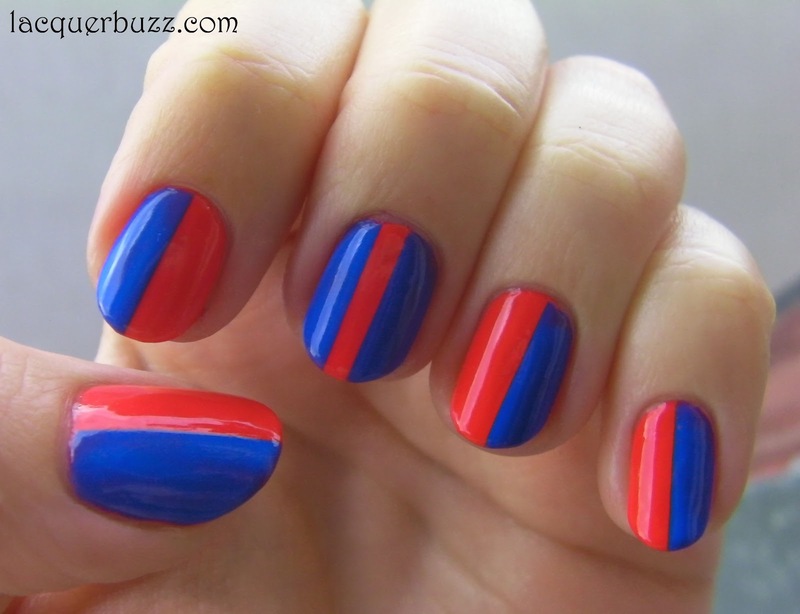 It has an amazing formula and I only used one coat for this mani! If you don't own this you must get it and fast! I then used Kleancolor Metallic Black to stamp the houndstooth pattern. It's the second time I attempt using this polish and this time it went well. It's very pigmented and might smudge if you aren't that careful with it. I used the m63 Konad dupe for the image. I just love the shimmer in this black polish and I think it adds a little extra something to the mani! Don't forget to follow us to get the full blue experience every week!